Hi guys, I'm looking for a good tutorial for how to create arrows that point in the direction of a target offscreen. 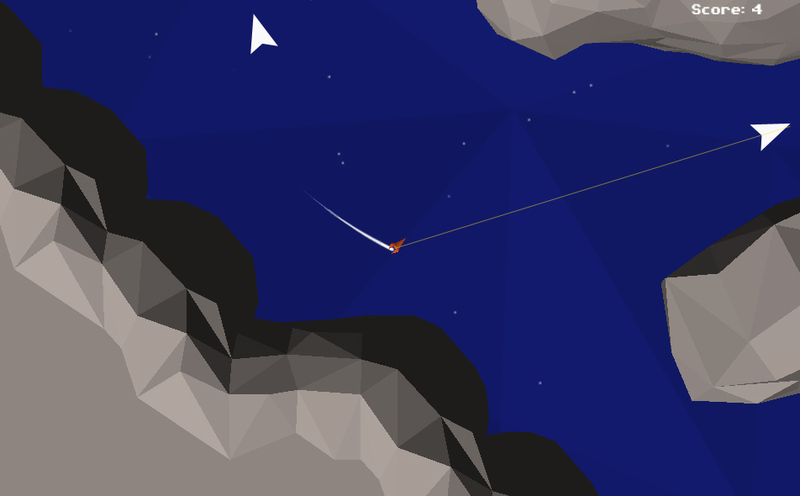 The arrows would be 2D gui, pointing to 3D objects, and sit just near the edge of the screen. Is there a tutorial for this, because I think the maths would make my head explode! I think what I need to do is draw a line to the enemy, and then detect where it touches the edge of the screen, and place my arrow there. But I'm not sure how to do that without complicated mathematics! Just use a fixed size arrow for now to see if you can get that working. Thanks for the help @azmundai, but your calculation doesn't point the arrow towards the enemy. The angle never becomes a negative, so points mostly upwards. You can use the builtin camera methods to get screen point and viewport point, both could be useful depending on the desired outcome, my example uses viewport as it tends to be easier to work with (as it's always between (0, 0) (bottom left) and (1, 1) (top right). Thanks for commenting @Scribe but I'm not sure how this helps. Surely what I need is an angle towards the player, and a location at the edge of the screen to place the arrow. I'm unsure what your mathematics is providing? The code I posted gets the point at the edge of the screen, which a line would intercept if drawn from the centre of the screen to the target, this does assume the player is always close to the centre of the screen. I tried and tested and made some changes and it turned out it has to be done this way, but since screenPos can have any value, depending on where related to transform.position the viewport currntly is, I don't see how it can work. I am really going crazy because of this...please help.